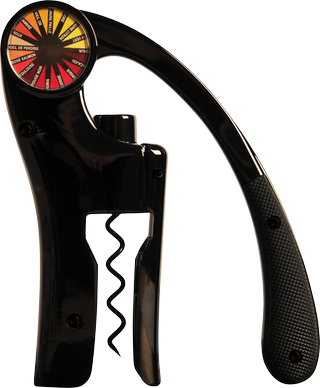 The compact vertical-lever corkscrew was designed to ensure the quick and easy uncorking of wine bottles. Secure and comfortable grip. Fits most of the existing bottle necks. Integrated foil cutter. Spare spiral in treated steel. Spare wire in treated steel. Design patent.